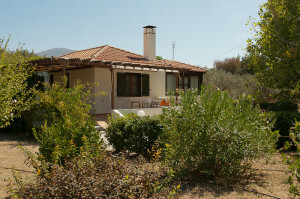 This comfortable summer home shares a swimming pool, a large wood-fired barbecue, and a young children’s play-ground with the proprietor’s residence situated but a few meters from it. 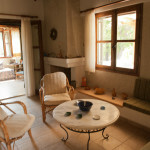 The cottage can sleep up to 5 people and features: living room with fireplace, fully equipped kitchen, two bedrooms and a den, bathroom, and a spacious veranda with a view to Molyvos’ medieval castle. 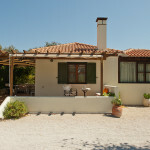 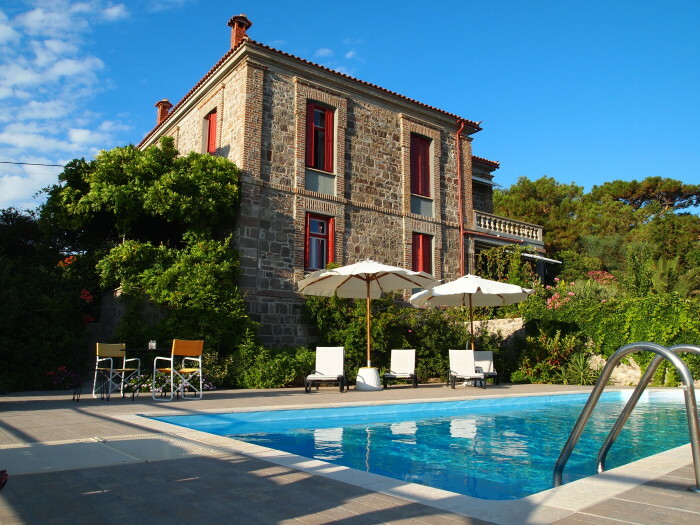 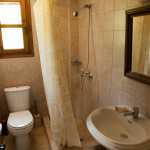 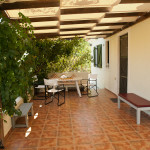 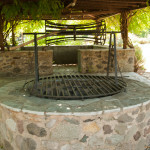 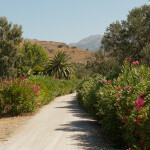 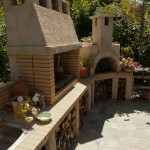 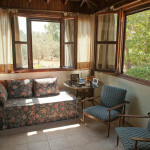 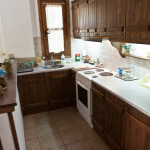 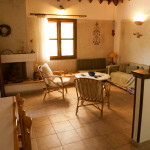 Spend a relaxing vacation in a beautifully appointed cottage, situated in a verdant olive grove. 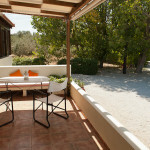 Laundry facilities onsite, while free wireless internet access is available by the barbecue next to the owner’s residence.